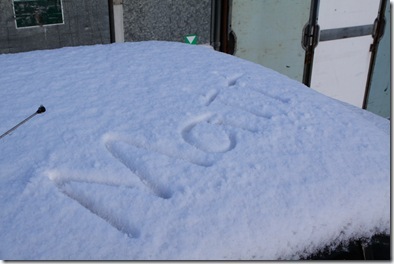 We have had a bit of snow over the last few days and the temperature is always usually below 0 degrees. 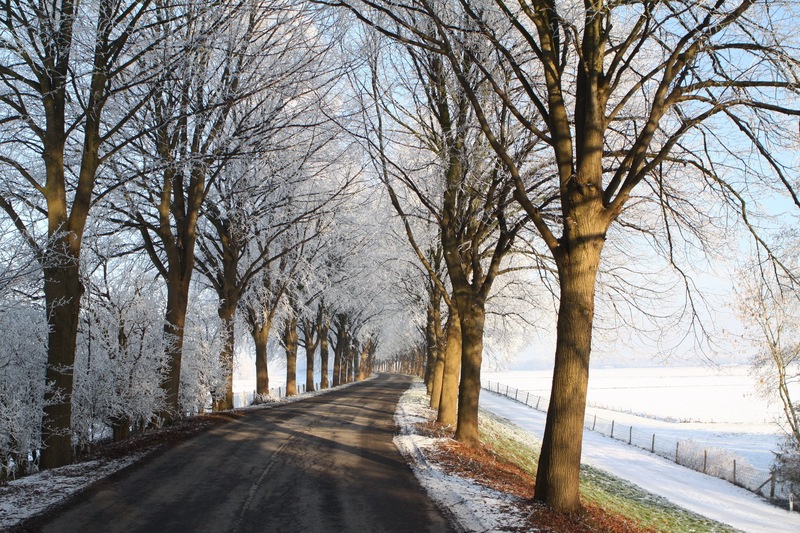 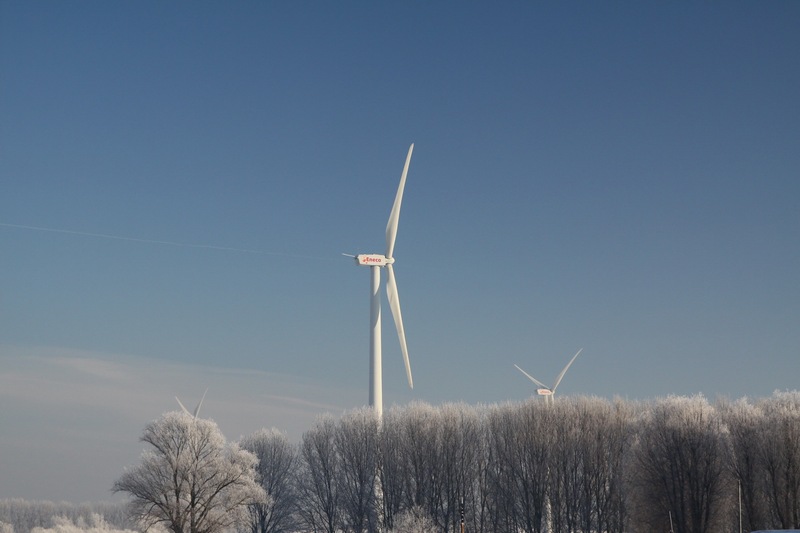 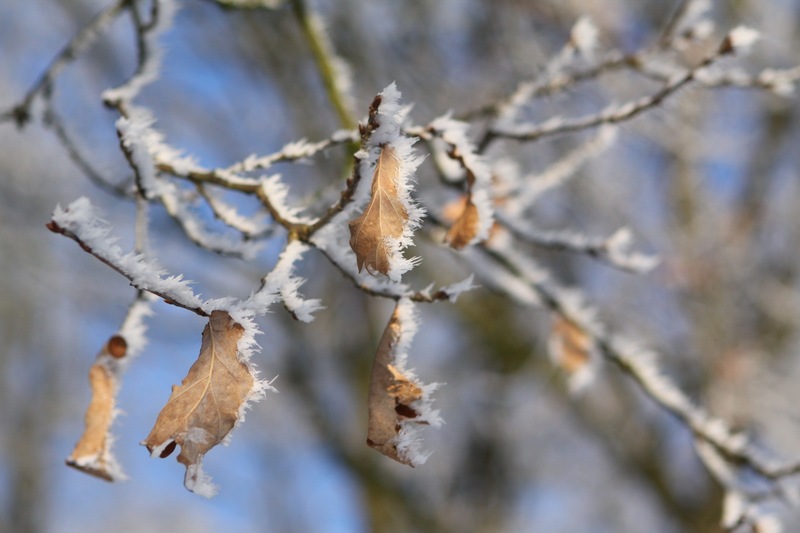 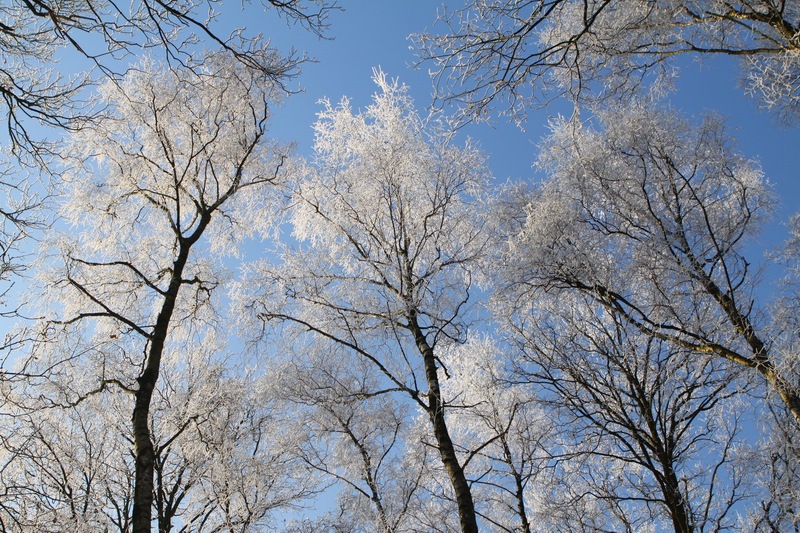 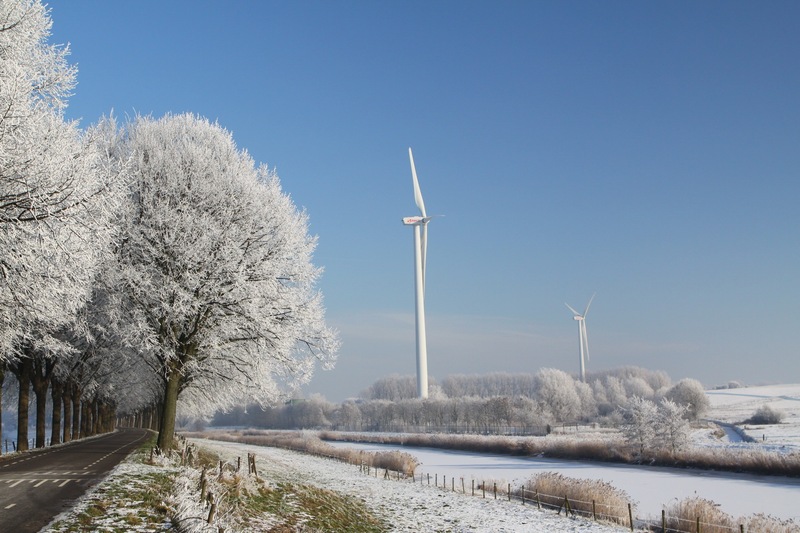 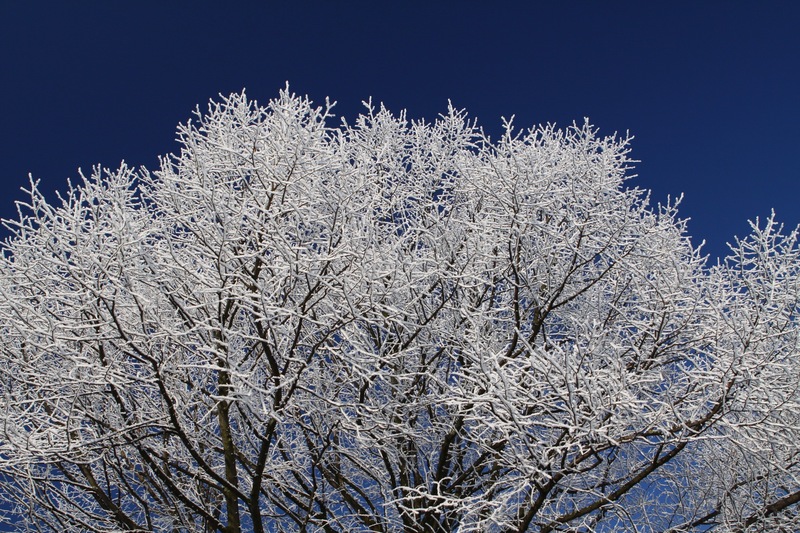 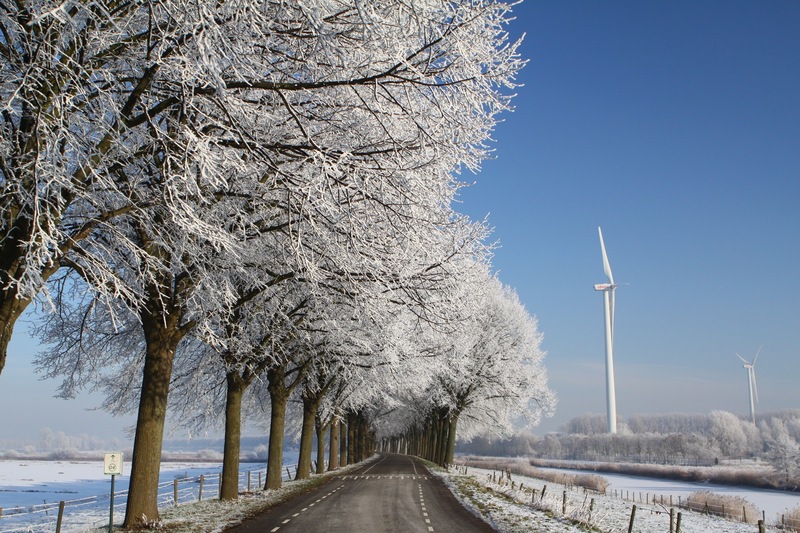 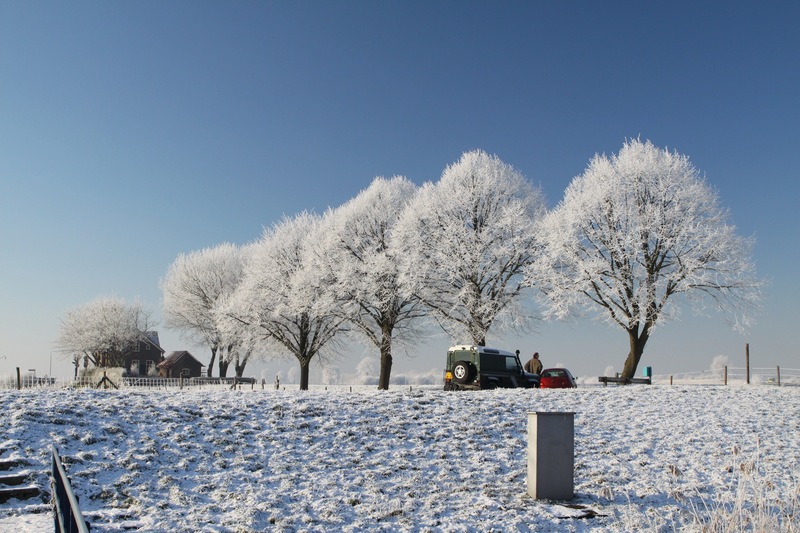 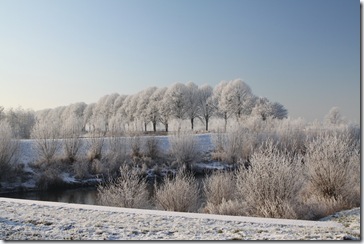 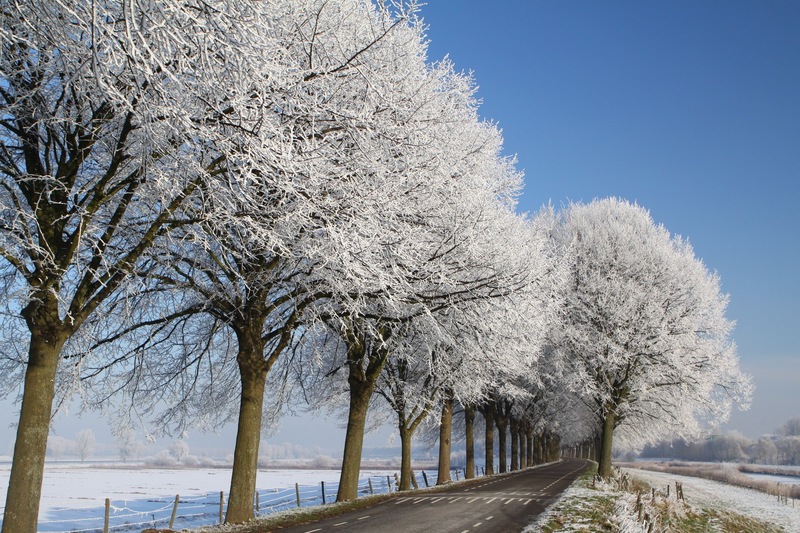 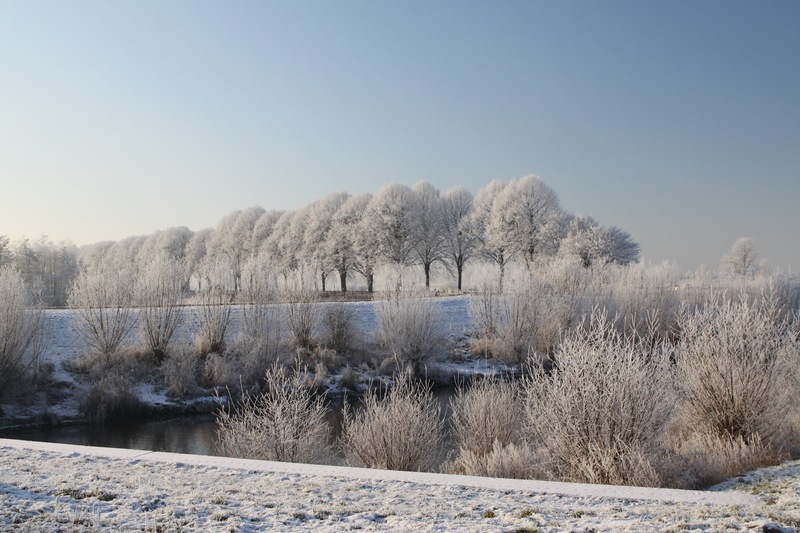 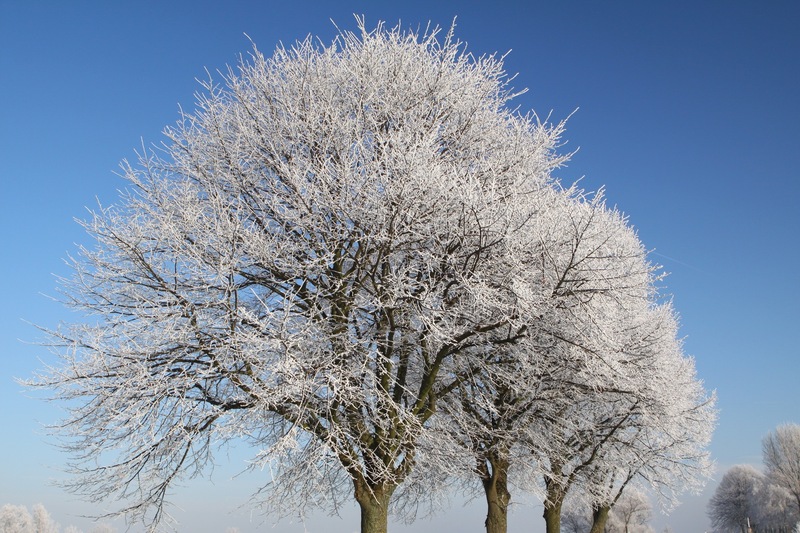 I was told that out in the countryside about 15 minutes drive from Waalwijk, you get frost in the trees which makes them all white and beautiful to look at. 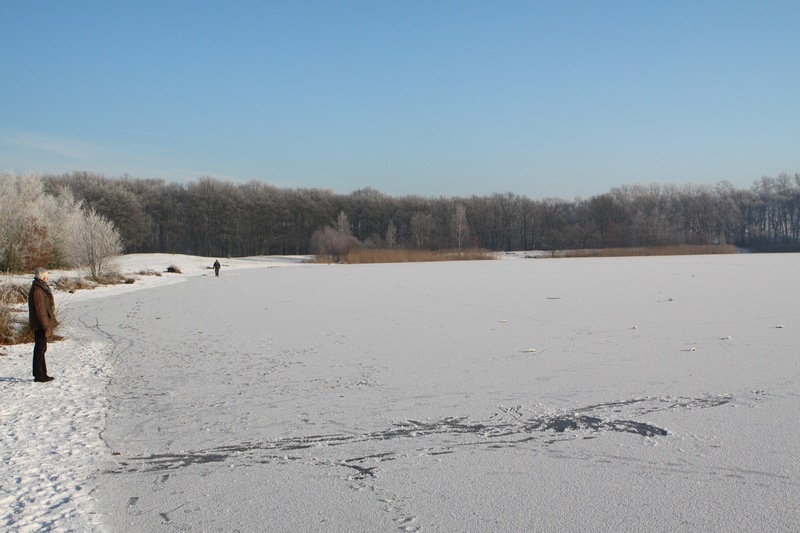 So today, I was just going to cycle to the dunes where there are a lot of trees there, but Auke offered to drive me around. 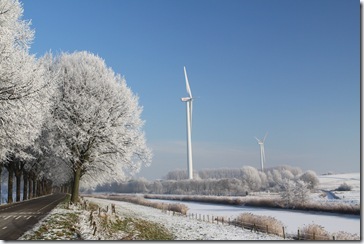 There was no wind (which was nice), but as you could imagine it was very cold! 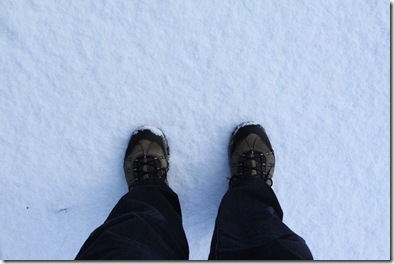 I was glad I rugged up well for these shots. 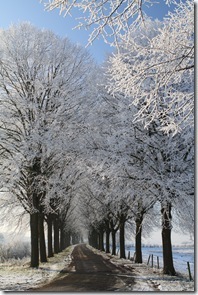 It was great to be parked under the trees and have small snowflakes gently coming down on you. 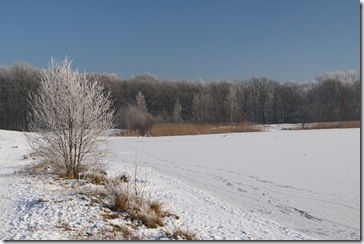 It was very still and peaceful and pure. 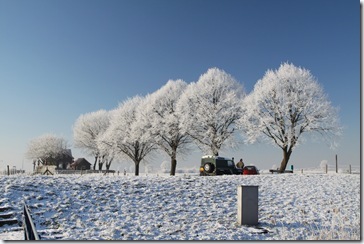 I used a circular polariser to darken the blue sky and bring out the white landscapes slightly more. The views were incredibly stunning. Judge them for yourselves! I also have a smugmug gallery up containing the full size version of these photos. 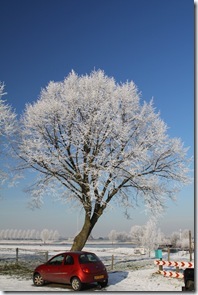 You can get to that page here. 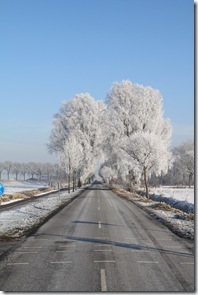 Many thanks to Auke for driving me around to see these sights! 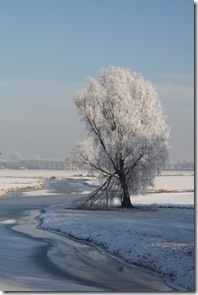 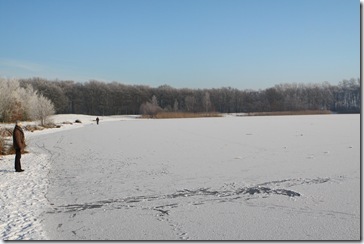 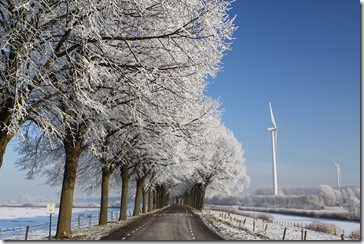 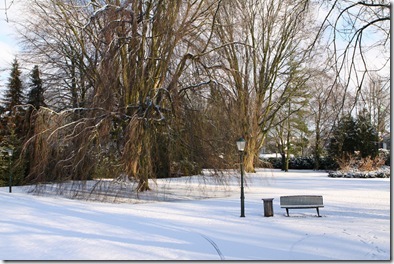 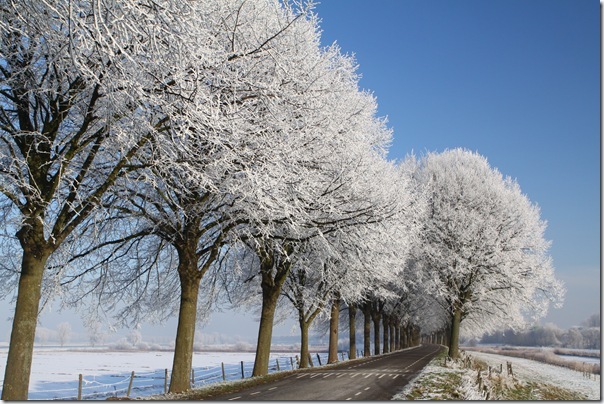 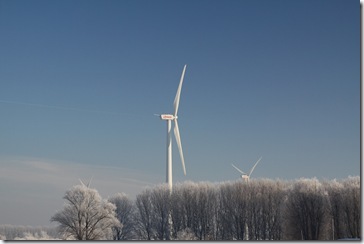 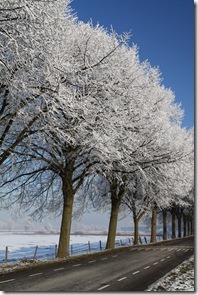 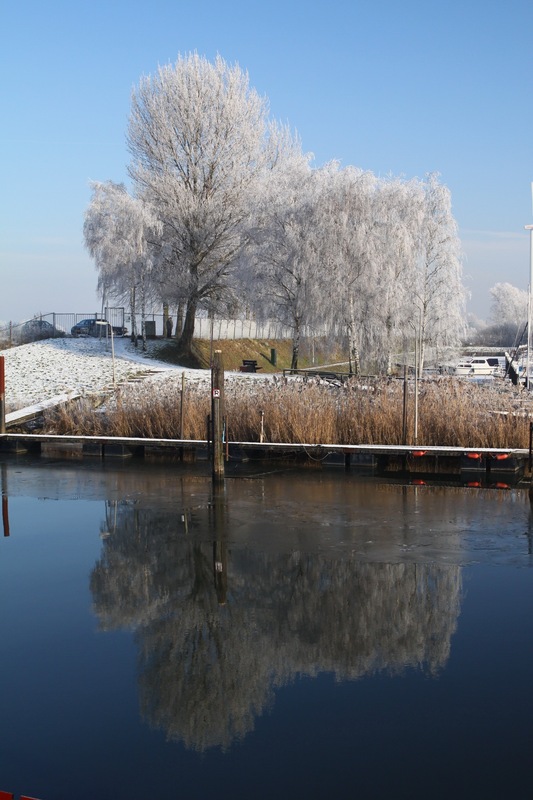 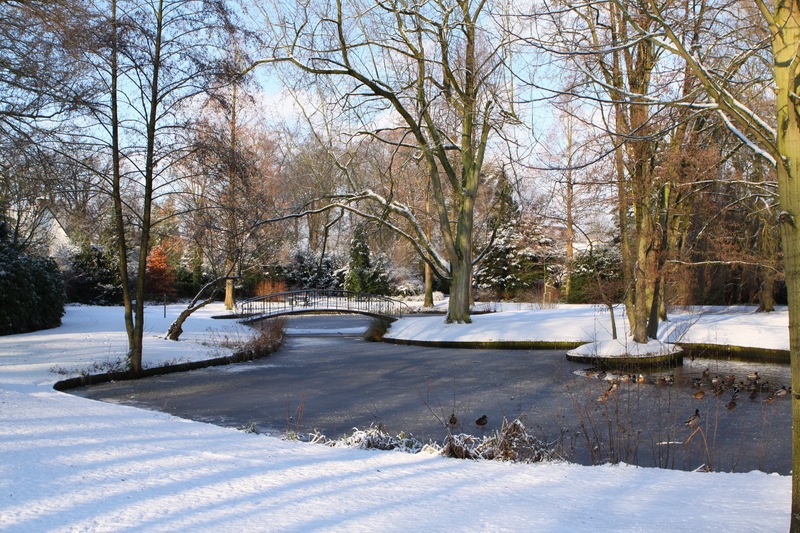 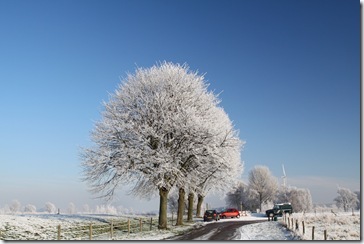 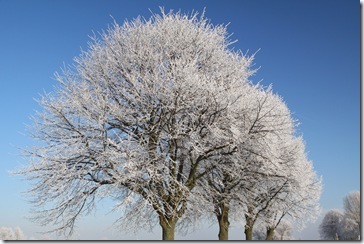 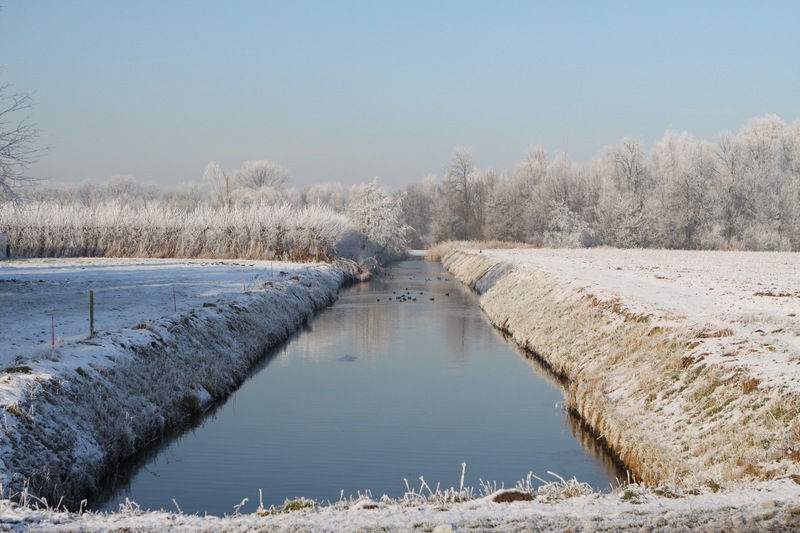 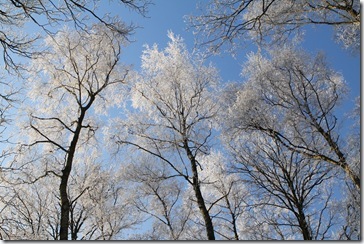 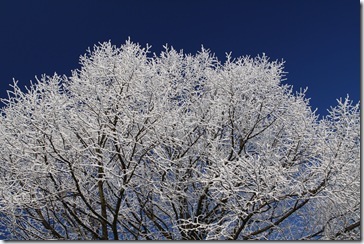 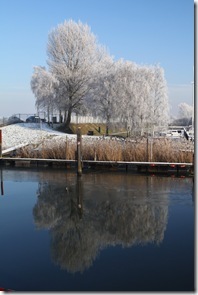 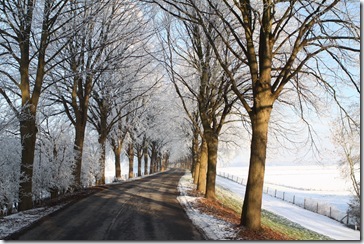 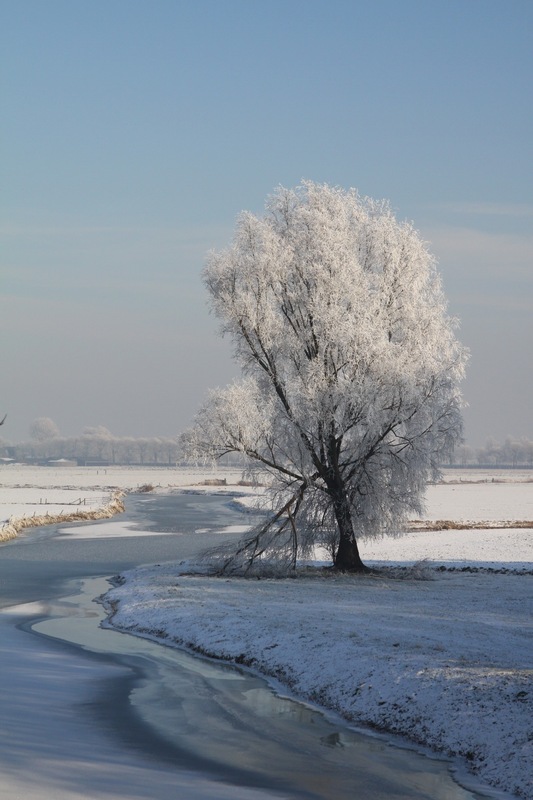 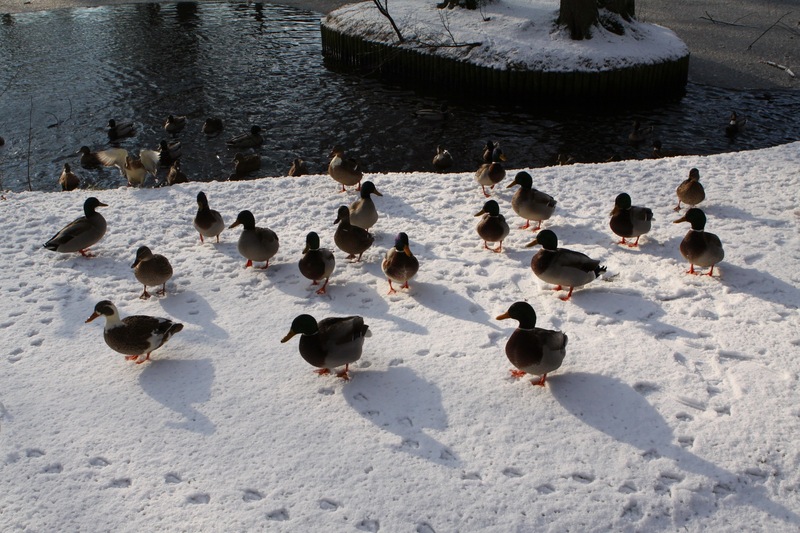 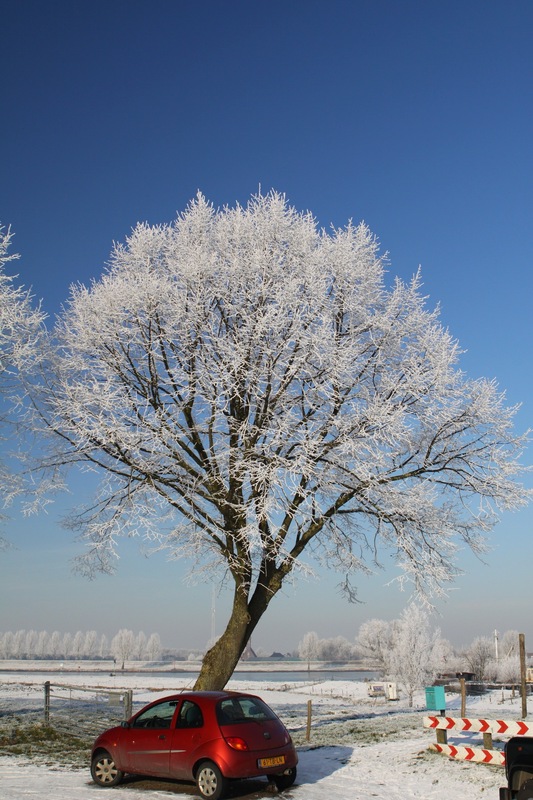 Yet again we shivered in Waalwijk with below zero temperatures recorded each day in 2009. 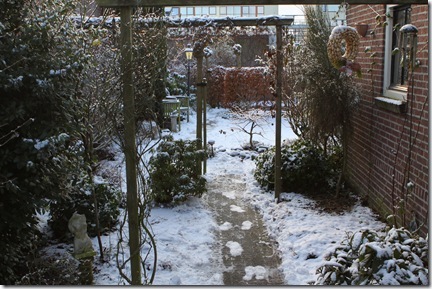 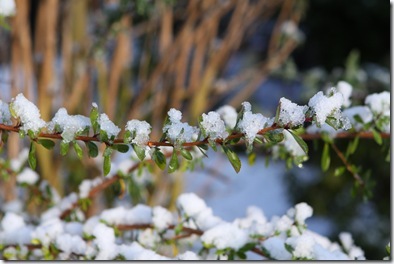 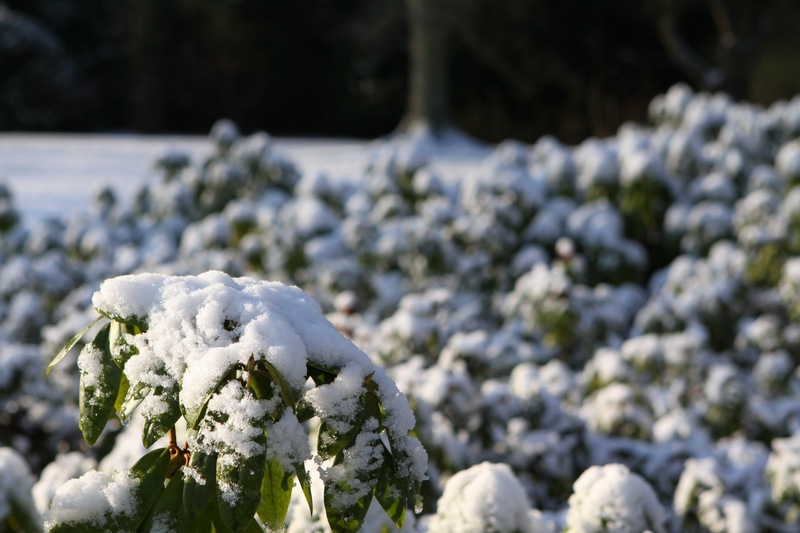 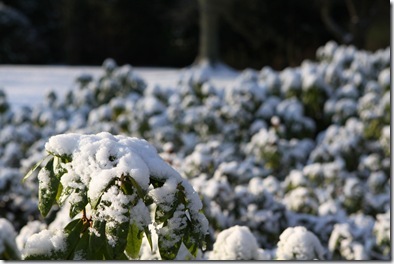 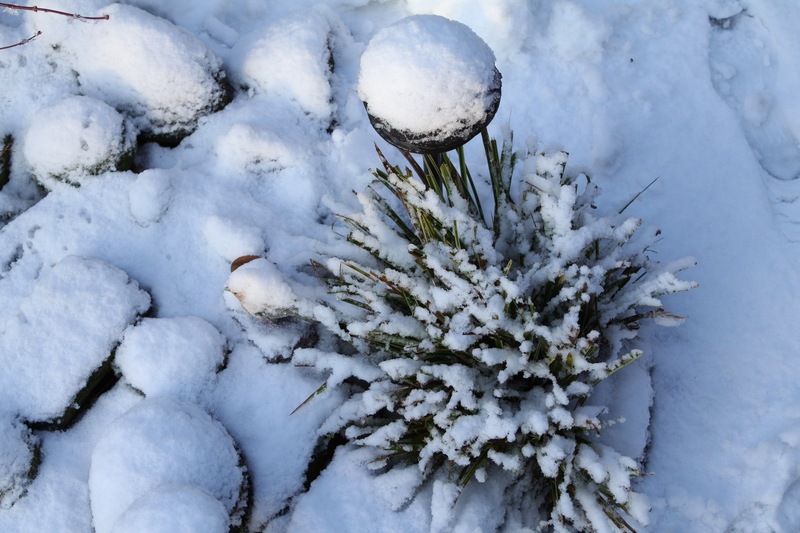 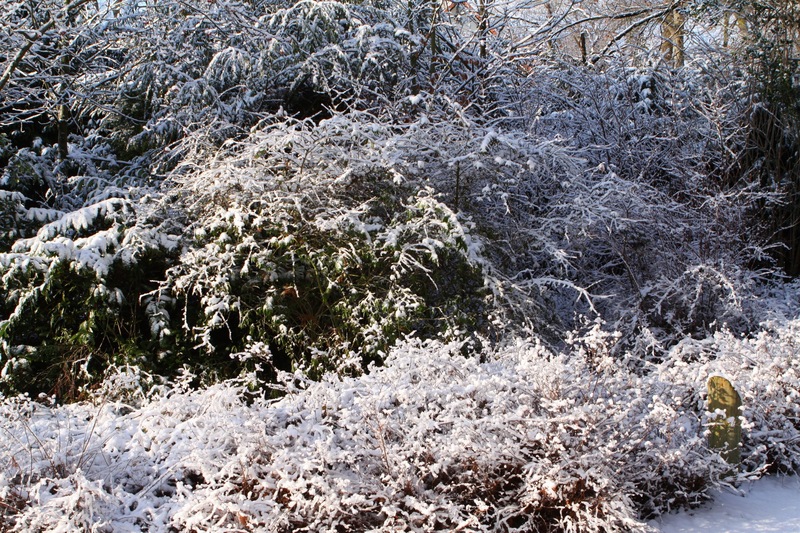 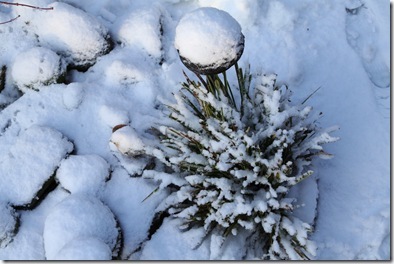 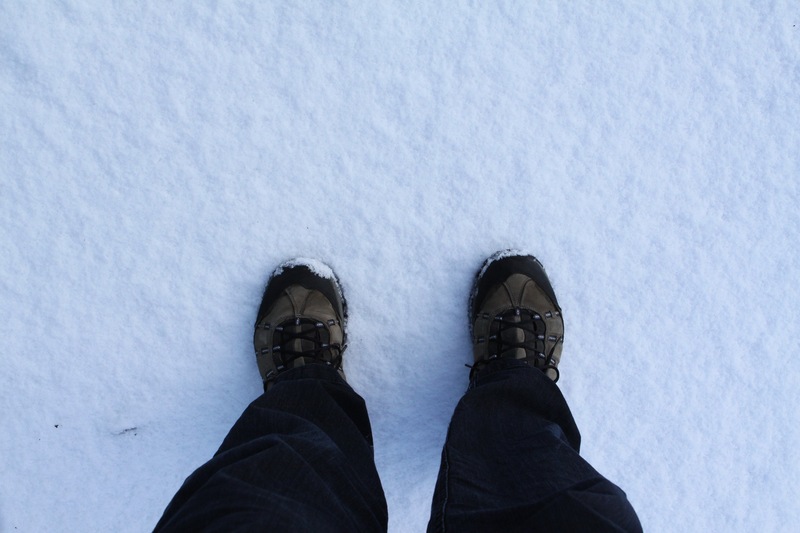 It snowed a reasonable amount during the morning of the 5th of Jan. However it didn’t melt away like before. 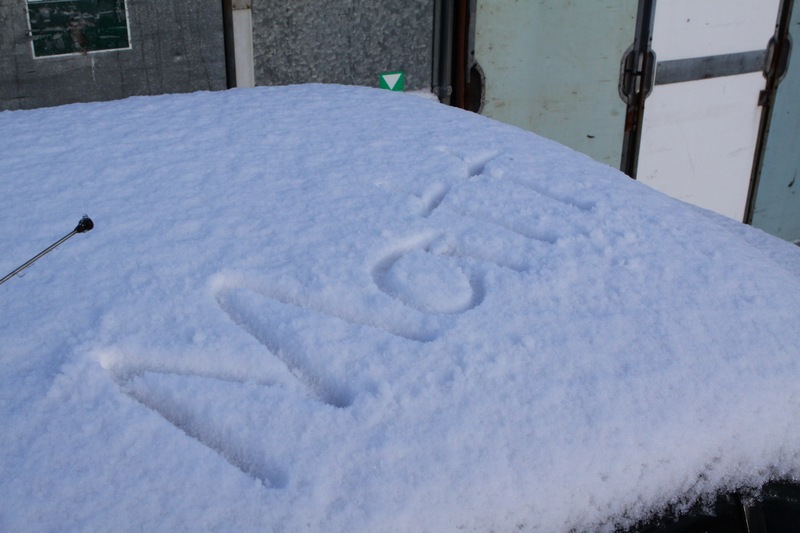 It stayed there. 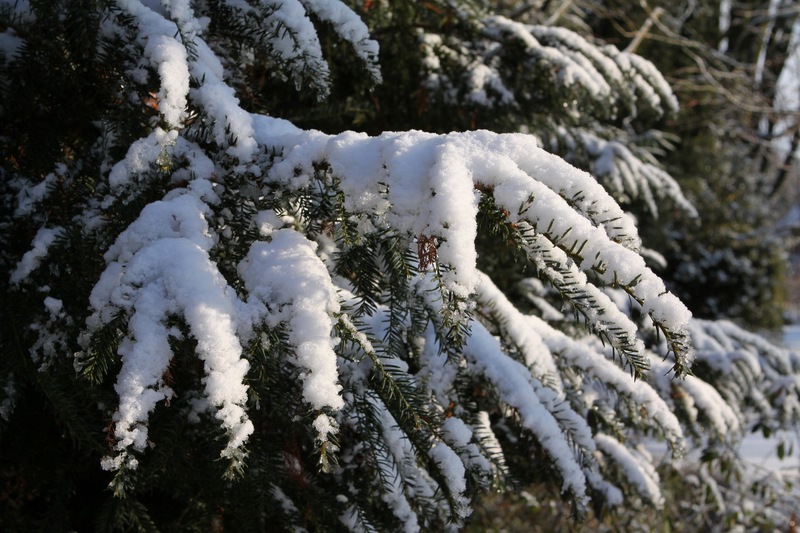 I have heard reports that tomorrow it will go down to –9. 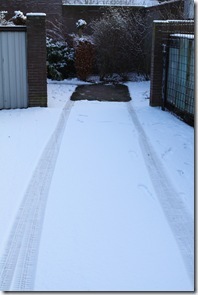 This will make cycling to swimming (indoor heated pool) rather tricky. 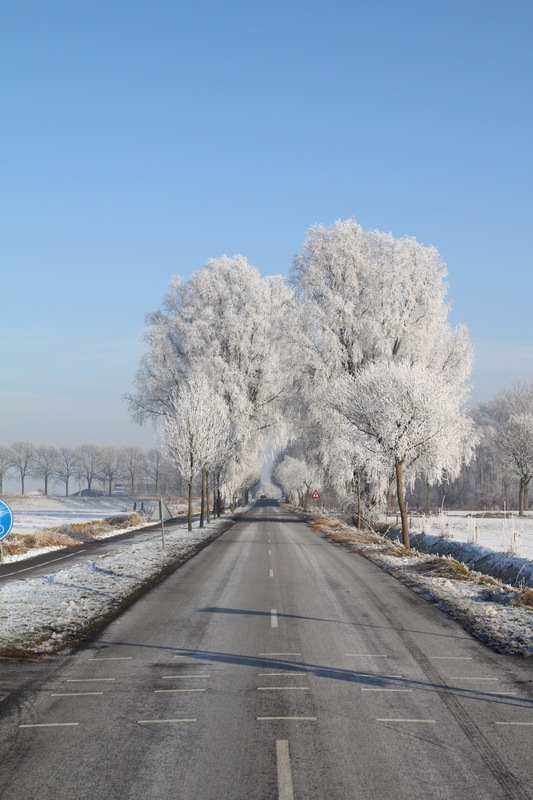 You have to watch out for the slippery iced sections. 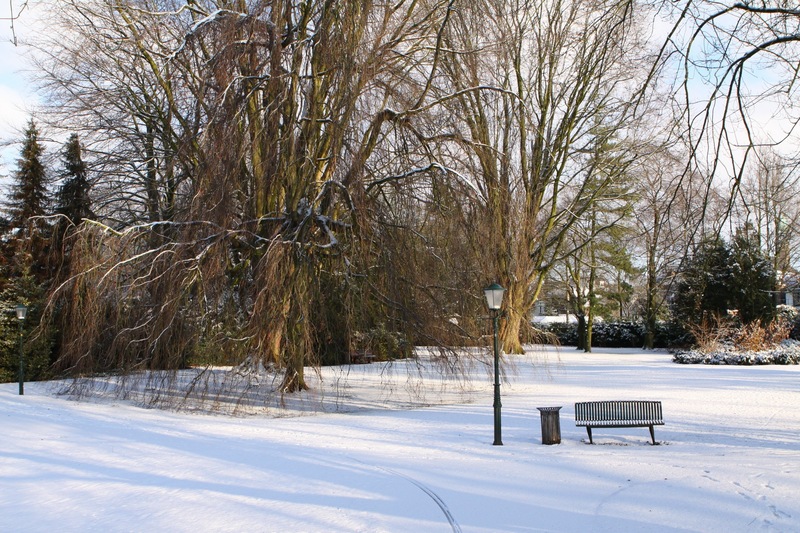 Today I cycled to a small park close to the centre of town. 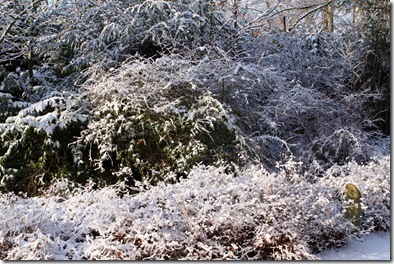 Not many people had walked or cycled through it so I was able to get some great untouched snow shots.